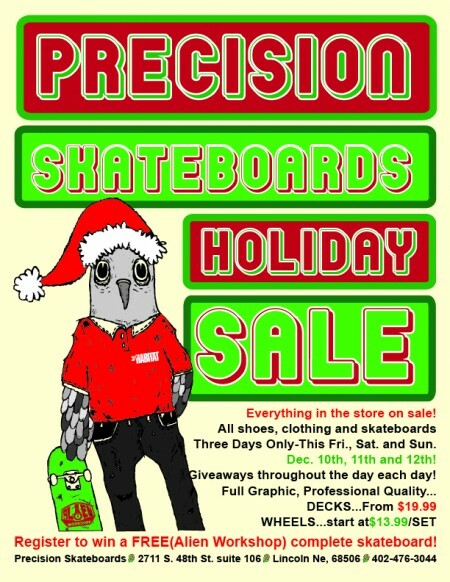 Our Big X-mas sale was a huge success! Here's the lucky winner of the Alien Workshop complete we raffled off during the sale. All around nice guy, and Peter Pan skatepark caretaker Malcom Lindeman. Congrats! Don't miss our biggest sale of the year, this weekend only(Fri. Sat. and Sun. )!